Nermeen Varawalla is one of the 20 fellows participating in the first Sylff Leadership Workshop. 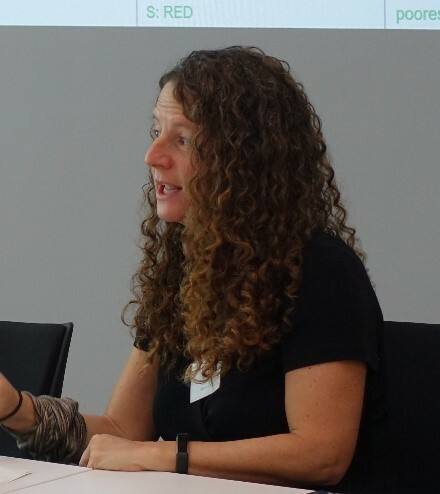 The following is her report, on behalf of Working Group 2B, of the fall session of the Workshop, held in September 2018. Varawalla received her Sylff fellowship in 2000 while studying for her MBA at INSEAD. Since then, based in London, Varawalla has combined her background in academic medicine with business skills to enjoy a career as a business leader in the global pharmaceutical and healthcare industries. She is passionate about innovative approaches to the cost-effective development of new medicines. 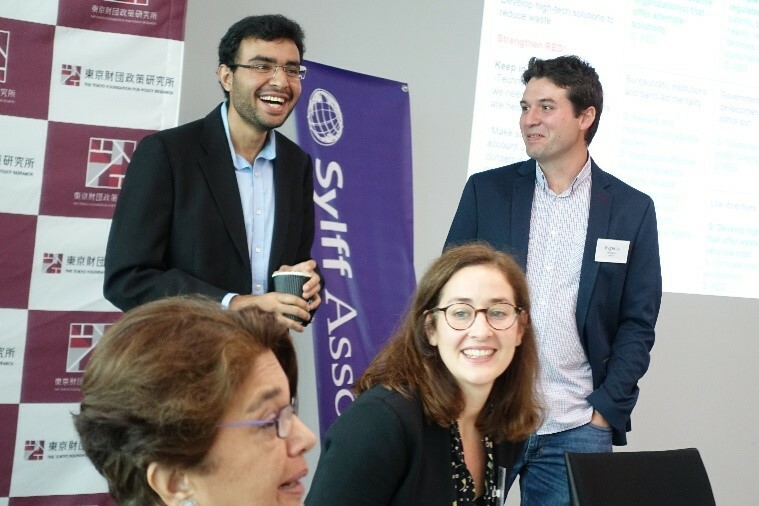 The “Future of Food Production in 2030” proved to be an excellent and engaging topic for the inaugural Sylff Leaders Workshop held in September 2018. The reasons for this include the multidisciplinary subject matter, its global impact, and the urgency required to address this challenge. The fact that none of us were an expert on the subject matter but still cared deeply about this topic made it truly compelling. Sasayama, with its long-standing tradition of responsible farming and specialist, artisan food production, was an inspiring and picturesque setting for our deliberations. Our working group comprised five fellows, namely, Anna Plater, Evgeny Kandilarov, Kabira Namit, Susan Banki, and myself, Nermeen Varawalla. The group was extraordinarily diverse, as we came from very different academic, professional, and cultural backgrounds. This enabled the sharing of different viewpoints, the application of varied experiences, and the examination of multiple social perspectives. The friendly but dynamic relationship within the group allowed for vibrant discussions that challenged conventional perspectives. We embraced the Visioning and Road Mapping methodology that required us to present our ideas as punchy newspaper headlines. Further, each of us was able to credibly voice our particular viewpoints, namely, those of economic policymakers, global business leaders, responsible academics, and politicians seeking reelection. In addition, we shared insights from our experiences of working in Africa, Asia, Central Europe, and the United States, hence able to imagine the impact of our proposals in different countries and economies. After we had articulated our goals for Global Food Security by 2030, we undertook the back-casting exercise wherein we asked hard questions as to what would need to happen in 2028 before the realization of the 2030 goal. Having thus defined the necessary penultimate stage, we probed our collective understanding to figure out what factors could prevent the realization of that 2028 penultimate stage. Once we spelled out the preventive factors—in other words, the hurdles that needed to be overcome in pursuit of our goal—we brainstormed how to overcome these hurdles, thereby landing on our action plan for 2026. We repeated these steps for every two-year interval until reaching the present in 2018. Using different colored sticky notes, we assembled all our ideas jotted down as punchy headlines in to a roadmap encompassing 12 years, from 2018 to 2030. Furthermore, we were able to group the collection of hurdles, solutions, and outcomes into different strands, such as Innovation, Business, Policy, and so on, making our output comprehensive and multi-dimensional. Working group session in Sasayama. This was an amazing experience in terms of both effective teamworking and accountable leadership. Because of the special group dynamics, tailored methodology, and conducive working environment, we were as a group able to articulate ideas and a vision that we all felt committed to but would have never been able to derive in isolation. We exclaimed, only partly in jest, about how wonderful it would be for the world if global leaders we able to work through issues in the same manner that we had! Received Sylff Fellowship in 1999. As Senior Vice President and Head of Clinical Development, BTG International a listed global medical technology business focussed on interventional therapies, Nermeen leads a team of 55 staff with responsibility for the clinical development of the product portfolio encompassing the specialty pharmaceutical and interventional oncology, vascular & pulmonology business units. 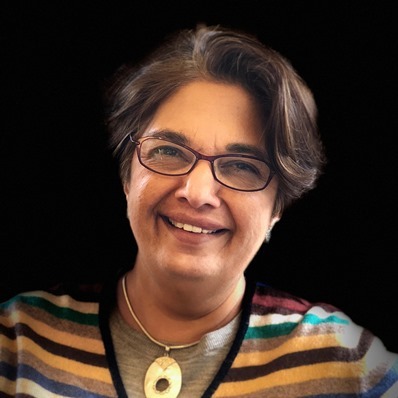 Dr Varawalla completed her undergraduate and specialist medical training at the University of Mumbai, before receiving a Rhodes Fellowship to the University Oxford where she obtained her doctorate from the Institute of Molecular Medicine. She is a Fellow of the Indian College of Physicians & Surgeons, a Member of the Royal College of Obstetrics and Gynaecology and holds a Royal College of Radiology Diploma in Advanced Obstetric Ultrasound. After her career in academic medicine Nermeen completed an MBA at INSEAD. Following which she worked at Accenture’s UK Life Science & Healthcare Strategy Consulting. She then established two successful clinical trial ventures. One was acquired by a global player PRA International where Nermeen then held numerous leadership roles. More latterly she raised private equity financing to found ECCRO, a differentiated India specialist clinical trials business. Nermeen then joined one of ECCRO’s clients as Executive Vice President, Global Clinical Development within the Intas Group, a high growth specialty pharmaceutical business. Nermeen serves as a Trustee of the Malaria Consortium, a UK headquartered, non-profit organisation that delivers global health solutions focussed on the control of malaria and other neglected tropical diseases.